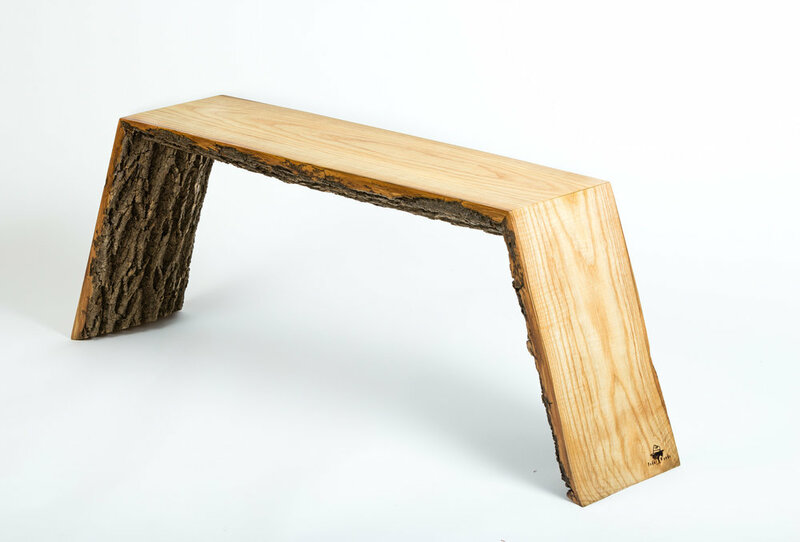 Reclaimed, salvaged, waterfall live edge bench. Hand finished with an outdoor urethane mixture with boiled linseed oil and mineral spirits. The finish is then polished with paste wax which adds a nice sheen and smooth feel to the wood and helps resist water spots. This provides a durable finish that allows the wood’s natural beauty to shine through. Bench pictured is Made of Ash and measures 9" wide 16" tall 45" long custom bench sizes will vary.